Before working with Lynda we had stressful arguments and discord to the point that we were about to separate. After working with Lynda, we have a more harmonious relationship with much better communication between the two of us. As a result of going through a Relationship Coaching program with Lynda Spann, I have better communication with my partner. Right before working with Lynda, we were going to call it quits! I’m so glad we found a safe place that we could both talk and receive help. I had a great coaching session with Lynda Spann about relationship issues. She is amazing! She definitely is the go-to person for relationship concerns. Are you feeling a little lost in the relationship arena? Give Lynda a call. I just had a coaching call with Lynda Spann! I can’t tell you how wonderful of a coach she is! I feel completely empowered and prepared to revolutionize my relationship! She is seriously of high vibration! I can’t imagine a more positive experience talking about relationships. You all will want to check her out! Lynda is a seasoned therapist/coach and her extensive knowledge shown through in helping me talk through some of my relationship issues. Lynda was able to give me some very practical suggestions to help connect more immediately to my husband, along with some simple communication phrases that are invaluable to the growth of my marriage. I highly recommend working with Lynda if you would like to work through anything regarding relationships, whether you are single, coupled, or anywhere in between! As a result of working with Lynda as a relationship coach we learned patience, communication skills, how to apologize, how to take ownership, how to not be selfish. We learned what’s really important in life! Before working with Lynda in relationship coaching, we were having more bad days than good days. We would fight over the silliest things. We had doubts about our relationship and called off the wedding because of it. Now we have many more good days than bad days. We treat each other with respect and love. We think before we speak or react. We know we love each other and are back on the same page. Lynda is awesome. Her caring and kind spirit was so helpful and she made me feel like I was in a safe space as I moved through some difficult emotions. With her help I was able to feel into some things more freely and get some insight on how to move forward with difficult circumstances. She is very insightful and understanding and I highly recommend her! Lynda’s relationship coaching program is a true life-changer! She has gifted me the hope that a happy life with my spouse is still possible. Prior to visiting Lynda, I had moved out of the house, but I am now back, and things are improving! Lynda is very thoughtful and insightful and is never scolding or overbearing. She is a true coach, not a lecturer. Working with Lynda has truly been eye-opening. Being able to see and understand how your partner processes their decisions and thoughts has reshaped our communication process. Before I came to Lynda, whenever stress arose my spouse pushed me away when I wanted to address situations. This made for many unhealthy arguments. Lynda has since reshaped our communication and now both of us understand how each other works allowing for open-minded conversations and collaboration. Lynda is a hero. She saved and reshaped our relationship. What has helped the most was gaining a broad appreciation for Lynda being able to educate us on different ways people communicate, work and address feelings. I am truly grateful for all the kindness you have shown to both of us. You opened our eyes to give each other a safe space, kindness, and love. Thank you, Lynda, for helping save our marriage. You gave me hope that what me and my spouse were going through could be fixed and that we could get back to the old us. We now have better communication skills that allow my husband and I to actually talk without fighting. I loved that Lynda’s relationship coaching program was so unique from regular 1-hour sessions and the homework was so fun and kept us working on us at home! I’ve worked with a lot of counselors in my life and Lynda is right at the top! I really like the different modalities she employs, and her knowledge base is very evident. She is an amazing counselor! I learned a lot about myself and I learned even more about how my wife communicates. Before working with Lynda, we were in a spot that neither one of us knew how to fix or repair. We are now able to work through things and fix them on our own. We learned how to communicate, why we are the way we are and how we deal with things and being able to go through our upbringings was incredibly helpful. Thank you so much Lynda. Thanks to Lynda me and my spouse learned how to better communicate as a couple and learned what the other needs to feel happy and fulfilled. Lynda was incredibly understanding of both of us and presented no judgment. I thoroughly enjoyed the program and I can’t recommend it enough. Lynda helped me and my partner see and hear what each other were saying. We were always nervous to come into a session, but always felt relief when we left. Lynda saved our marriage! Without Lynda’s help and guidance my wife and I would not be together. I would still be living in my lies and unhappiness. 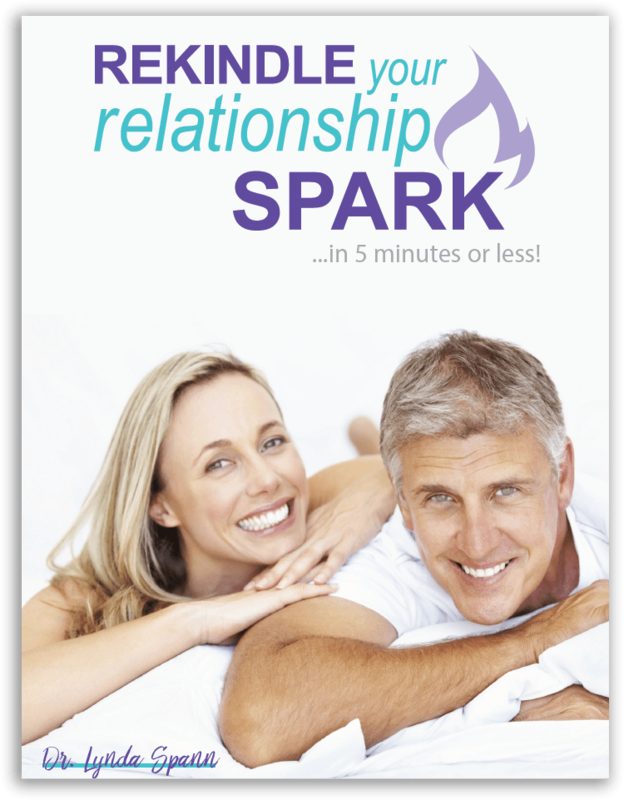 This program saved our marriage and helped me personally deal with deep pain and sadness. We are stronger than ever and have hope where there was once none. Thank you, Lynda.